Snow and more snow, originally uploaded by Brin d’Acier. It’s the second exceptionally cold and snowy winter in a row in Helsinki. There’s actually more snow here than in Lapland. 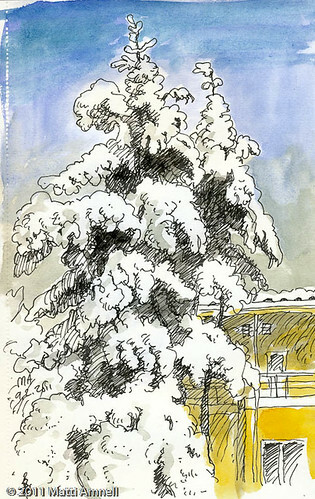 With temperatures below zero since November, the only sketching I’ve been doing is from my window. i love this! reminds me of old children’s books in my school library.